Meet some of our partners that have helped make the dream of Grey Fox Ridge a reality. 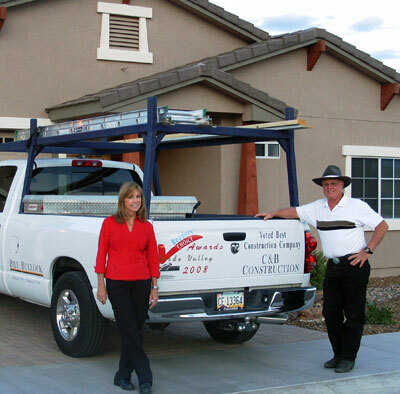 SolarOne Southwest Energy Group is a leading supplier & installer of photovoltaic solar electric systems in Northern Arizona including Sedona, Cottonwood, Prescott, and Flagstaff. If you are looking for real estate in the Sedona - Verde Valley area, Mingus Mountain Real Estate can help you choose the right property for your needs and will guide you towards making an educated real estate decision in our market. The Cottonwood Chamber of Commerce is a member-focused organization and community partner that fosters a sustainable, healthy and vibrant economic environment through business promotion, advocacy, education and services. With over fifteen years of design experience, Kenneth Decore has brought a fresh and interesting approach to the layout and aesthetics of Grey Fox Ridge. His goal is to create smart, interesting architecture with comfort in mind. He holds a masters degree in Architecture and currently teaches design at Arizona State University. In addition to developing our standard floor plans, Kenneth is also available for custom home design. If you have any questions or would like additional information, please feel free to contact him atdecoredesigns@gmail.com. If you are interested in learning more about Grey Fox Ridge, drop us a line. We would love to show you one of our model homes.